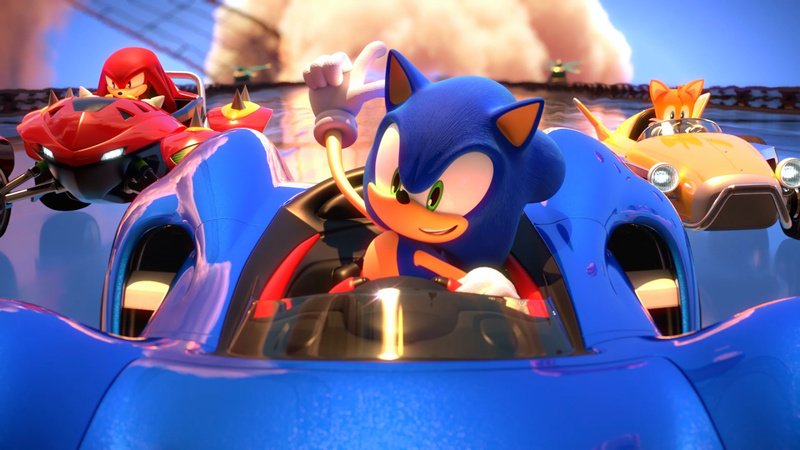 Sega has released the first in a series of ‘spotlight’ videos for Team Sonic Racing, starting off with a showcase of the game’s team mechanics. As you can see in the video, Sonic and friends can work together to gain an advantage over opponent racers. We get to see the Skimboost, Slingshot, Rival Takedown, Item Box Transfer, and the mighty Team Ultimate in action, all of which can help you to turn the tide when things are rough on the race track. – Skimboost: Boost struggling teammates back into action as you drive by! – Slingshot: Slipstream a teammate for a slingshot boost! – Rival Takedown: Knock out highlighted opponents ahead and speed past them! – Item Box Transfer: Send and receive Wisps with teammates anywhere on the track! – Team Ultimate: Use Team Mechanics to fill your Team Ultimate meter and unleash a massive team boost! The video also presents the very first footage of Team Rose, a “loveable” new trio, and Ice Mountain, a frozen terrain that is said to offer a challenge to players across all skill levels. Team Sonic Racing is still scheduled to release on Nintendo Switch this winter, although we’re still waiting on that all-important specific release date. Are you liking what you’ve seen so far for the game? Let us know below. Why Cross-Application Interoperability is The Future of Gaming.